The origins of the police force was set up to protect the wealthy (who accumilated their wealth by stealing from the poor) and building gated fences and and calling it private property. With Martin Lux, author of Antifascist and a class war agitator, alongside film maker Greg Hall discuss the whistle blowing statement put out by the MET Police to snitch on Anarchists. The start of the intro was cut off whilst airing! If it bugs you it starts with ”The police force are…”. 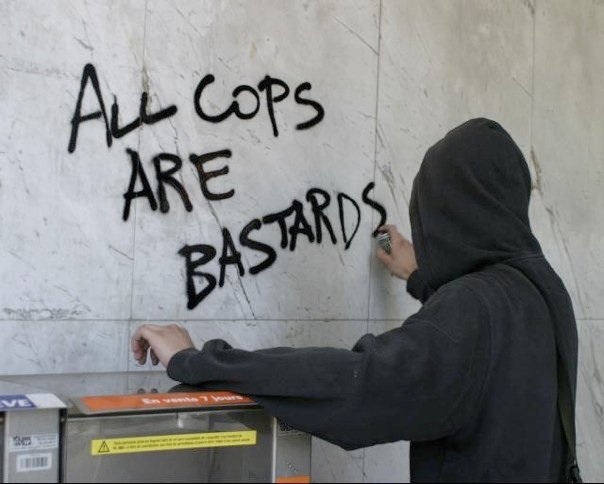 Posted in Uncategorized and tagged acab, anarchists, greg hall, history, interview, martin lux, martin wright, oppression, police, private property. Bookmark the permalink. Another great broadcast. As always Martin makes some great comments, has plenty of very valuable experience and insight.